This week, we continue on with our Psych/Soc breakdown from Next Step Test Prep full-length 10. 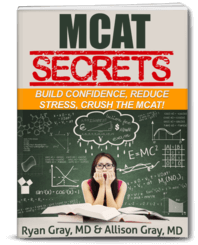 If you’re listening to this before April 30, 2019, and you’re looking for some MCAT tutoring, Next Step Test Prep is giving a special increased discount for their tutoring from $50 to $150. Simply use the promo code MCATPOD and let them know you heard it here on the podcast. Work-related stress in nursing is a primary cause of worker attrition and turnover in many U.S. hospitals. Conflict, authority ambiguity, and the lack of autonomy in dealing with the complex situations nurses face have all been implicated as stressors leading to burnout and worker loss. Employee turnover is costly, with the remaining employees having to cover for the lost employee, which can cause them to experience increased stress. This further depresses employee morale and desire to stay. The exit of a long-term employee has a profound effect on a healthcare facility; knowledge of tasks and history may be permanently lost. Administrative groupthink can compound the stresses of the job by making it impossible to alleviate daily stressors. In order to better understand what their staff was going through, administrators came up with a questionnaire, a portion of which is reproduced below. Groupthink among hospital administrators can cause them to ignore issues with employees stress and turnover until it is too late to avoid problems in care quality. The resulting defective decision-making manifests itself in a failure to explore suitable alternatives and the manifestation of various kinds of biases in response to new information. Highly cohesive groups like those found in medicine provide ideal conditions for groupthink to thrive. Additional structural features of the hospital setting that raise this potential include the insulation of the administrators from outsiders and the finding that many administrators will discount the opinions of the nursing staff. It is observed that the more layers of management between the bottom-most and top-ranked employees, and the more power invested at the top of the organizational pyramid, the more likely top executives were to display the classic characteristics of groupthink. Cultural features of the clinical world also play a role, such as an emphasis on “toughing it out” and the persistent belief that hard times will make one a better healthcare provider. These factors create a wall between nurses and administrators and even between administrative levels, which can prevent them from recognizing and acting to fix even the most critical and dire problems. Which of the survey options from Table 1 would be best suited to operationalizing the correlation between administrator groupthink and employee stress? The correct answer is D. A good strategy is to use what’s present in the Roman numerals. Operationalizing is a big word. It’s usually based on our understanding of experimental design. So most students may not have any idea what it means. So you can use the Roman numerals to help you. Oftentimes, in studies, we want to essentially measure something that’s very difficult to measure in a quantitative way, or sometimes even in a qualitative way. We need to find some other more easily quantified variable and use it as a way to gauge stress. And one common way to operationalize stress is biological measurement such as cortisol levels. This is something we can quantify and that’s an operationalization of stress. This is different though being pscyh/soc in nature. So you want to look for an answer that would measure stress more easily, that’s why they’re talking about the survey. All of the answer choices have two of the Roman numerals. Most likely, what you’re looking for here is one Roman numeral that is a really good operationalization of administrative groupthink. Then we’re looking for another one that operationalizes employee’s stress. If you look at III and IV, those don’t really relate to administrative groupthink. However, we need a way to operationalize stress. III – feeling worn down all the time is a great statement to operationalize stress. And IV is closely related to administrative groupthink. I and II are wrong as they don’t really relate. *Note: When you’re reviewing your full-length tests, you have to review the answers you got right because you could have gotten them right for the wrong reason, or for the right reason but maybe the explanation will have some facts you don’t know. The deputy administrator that organized the survey in Table 1 delayed reporting the results to the chief administrator, as she feared the sample size of nurses was too small to be reliable. Several follow-up surveys with larger sample sizes revealed identical results, and so she finally submitted her report 4 weeks late. Which of the following factors of Janis’s theory of groupthink best explains why the deputy delayed her report? The correct answer here is C. What you can learn from this is that you’re not getting things right by accident sometimes. You could be guessing answer choices that seem logical. But a lot of students do the opposite. If they see a question like this, they’d think they don’t know Janis’s theory. And D is one of the most chosen wrong answers. Collective rationalization is exactly what it sounds like where the administrator was rationalizing the survey results. Essentially, in groupthink, you see this collective rationalization where members of the group will have assumptions. They tend to rationalize and talk themselves out of pieces of evidence that would counteract those assumptions. All the other answer choices are just way off although they’re all factors of Janis’s theory. With A, we don’t see the administrator doing any stereotyping of other groups. Answer choice B might be tempting but it’s where members of the group have a certain illusion that they all agree on everything. But we don’t see any members of the group here. So it’s not relevant. And D is random. It’s the idea where in a lot of groups undergoing groupthink, there will be certain members of the group that would take it upon themselves to protect everyone else in the group from pieces of outside information. 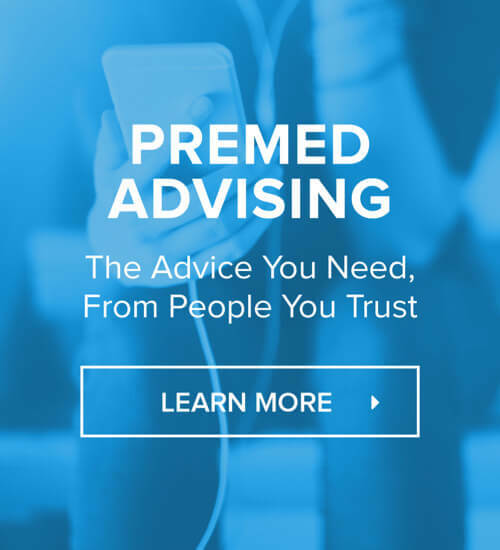 Sign up for a free consultation call with one of Next Step’s academic advisors and find out more about tutoring. Use the promo code MCATPOD or just let them know you heard about them here on the podcast and you get $150 off (until April 30, 2019).